As The Warden, Georgetta Dane, it is one of my responsibilities to inform you about The Big House! Big House Winery in Soledad, CA (Monterey County) is a mere ankle iron's toss from the Soledad State Correctional Facility, a.k.a. "the Big House," "The Clink," "The Slammer," which explains the recurring prison theme depicted on the labels. The brand's cornerstone is a rebellious New World winemaking style blending Mediterranean varieties. 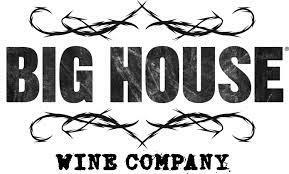 Big House wines unshackle consumers from ball and chain wine choices and rules, creating criminally exhilarating everyday wines. Big House has a legendary history of innovation and of paving the trail when it comes to our winemaking approach. Big House was the first winery to have screwcap closures on the entire 750mL line-up. Also, Big House has released wines in an innovative design, the 3-Liter Premium Wine Cask that keep wines fresh for up to 6 weeks. Read more in Rehab. Big House wines are "so good, they're almost criminal."